today I will do what others won't... so tomorrow I'll do what others can't. The Great River Junior Rowing is a year round program that is broken down into four seasons; Spring, Summer, Fall, and Winter. In the Spring we are all about sprint racing. We train our novice and experienced rowers five days a week to gear up for multiple regattas in April and May. Our goal is to qualify boats in the Northeast Regionals to go to Nationals. Spring typically starts in mid-March and runs through the first week of June. Summer is our time to slow things down a bit and turn the focus towards skill development for all our rowers .We usually have fewer numbers in the Summer and can get our kids into smaller boats to hone their rowing skills and abilities .We also have the opportunity to mix our newer rowers with more experienced rowers to allow them the chance to get a better feel for the boat. Summer season runs from late June until early August. The Fall is the season of endurance and efficiency as we gear up for head racing. Starting around labor day our young athletes start putting on the miles to get ready for a number of head race regattas typically most every weekend in October. We cap off our Fall season with a trip down to Tennessee for the big classic in early November, The Head of the Hooch. Although we head indoors for Winter and say good bye to the water, the Winter season is one of our best seasons because it allows us to build muscle and conditioning for the next coming year. As our young athletes grow into bigger body frames, we take this time to create the muscle to fill out and strengthen them so they can perform better. Winter season starts at the beginning of December and runs through to start of March. 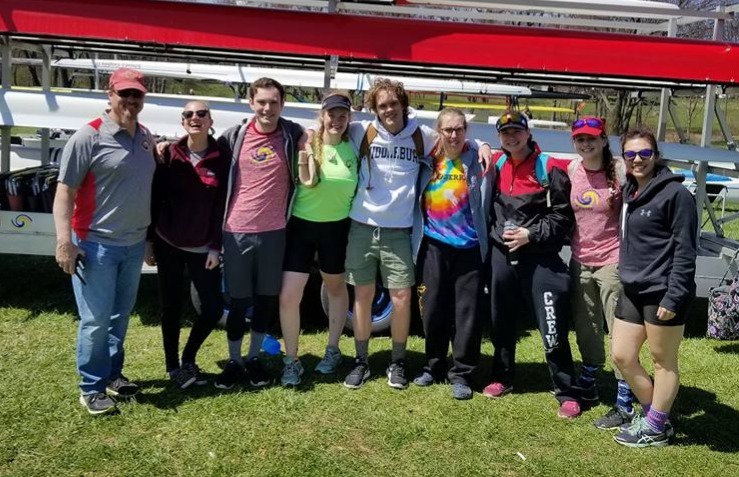 While Spring and Fall tend to be our most populated seasons, most of our rowers participate throughout the entire year and some share rowing with another sport and work with us a couple of seasons a year. Those that have dedicated themselves to rowing have moved on and rowed in college, many receiving scholarships. All in all, our kids learn disciplines and work ethics that they take with them into their studies and work. We help them develop self confidence so they can be successful young Men and Women, and that is greater then the medals we win on the water. Come see what rowing can do for you!